that will stand (be carried out)." Every culture sees the value of working women from a different lens. 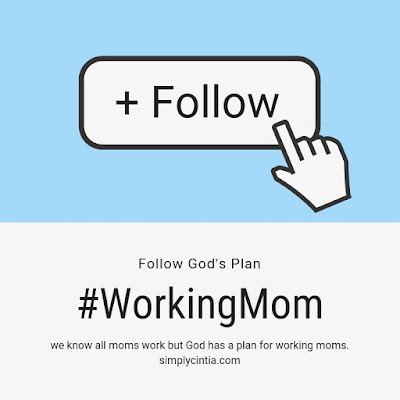 I decided that abandoning any culture's way of viewing working motherhood and following God's plan is the best thing for me. Following God's plan requires faith, trust, and surrender. Faith because without it, we can't please God. Trust because knows what plans He has for us. He knows the end from the beginning and all we need to do is trust Him. Surrender because we don't get to live as we want to. We need t surrender to God's will for that season of life. I went back to work in 2015. Transitioning back to work was challenging. I honestly didn't want to go back but God had a plan for my life and for my family. What most people like to hear is, "I'm going back to work because my kids are bigger" or "I need the money." Rarely we hear women say that going back to work is part of God's plan for them. I hope we start giving God credit for leading us and directing us. If all of life is for God's glory, I believe that one's career should be used for God's honor and glory. Forget about the naysayers. Forget about those who are so blinded by their own sense of importance that they forget that in this culture, most women work and not only that, millions are the sole providers for their family. God loves those women too. He doesn't see stay-at-home moms as more important than working moms. He created all women and He loves them the same. He's okay with people having different assignments in life. It is important to assume our assignment with confidence. 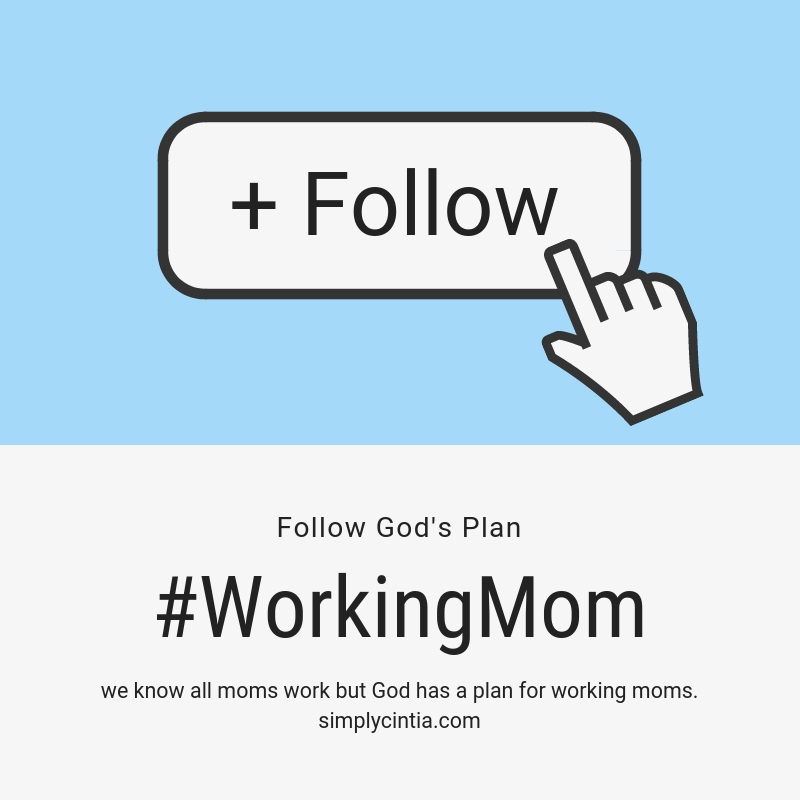 God has a plan for you, working mom. Following His plan requires faith, trust, and surrender. I encourage you to stop fighting God's will for your life. I invite you to make room for God in your life. Ask him about this plan He has for you. Be open to His answer, it will surely come. Have faith, give God your trust and surrender to His good and perfect will in your life.